Claudius Ptolemy was an Egyptian astronomer and mathematician who lived in Alexandria in the first century AD. 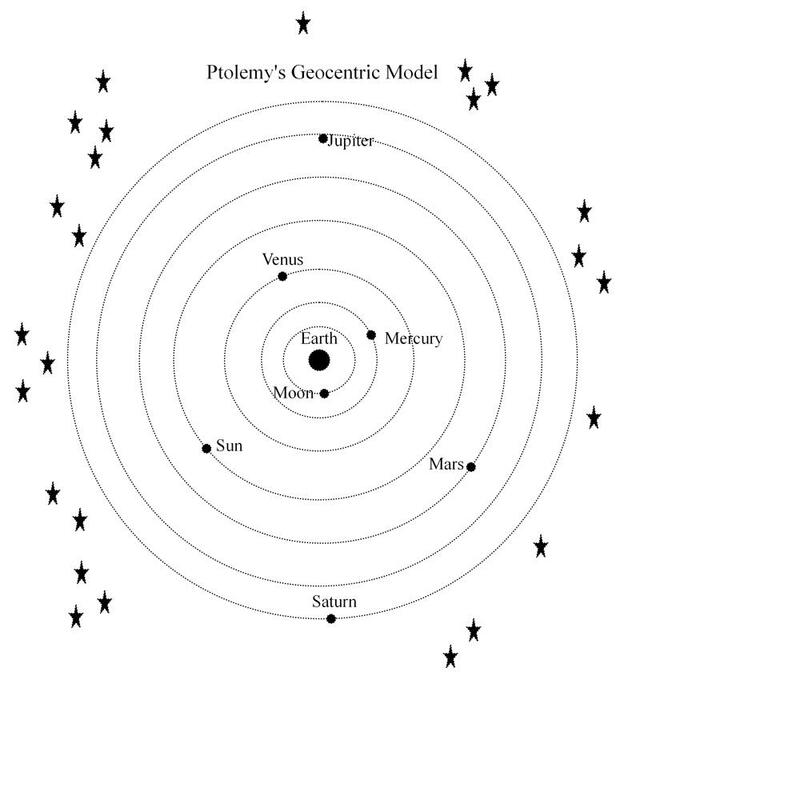 He believed that the Earth was at the centre of the universe as shown in the diagram of his geocentric model below. For the purposes of astro navigation, we adopt a similar Ptolemaic worldview. We assume that the Earth is at the centre of a vast sphere which we call the ‘Celestial Sphere’. The ‘celestial bodies’ such as the Sun, Moon, stars and planets are placed on the inner surface of the celestial sphere much as we would see them in the roof of a planetarium. The fact that the ‘celestial bodies’ are at greatly varying distances from the Earth and not actually on the inner surface of a sphere is not important since we are only concerned with the angular distances between them.